Neurology Medical Services of Long Island (Garden City) - Book Appointment Online! 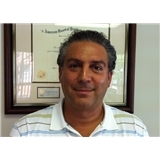 Dr. Cohen is a neurology specialist with a focus in headaches, pain management and botox. Doctor Cohen was extremely helpful; not only did he see me right away, but he explained my medical situation to me in a way I could easily understand. I highly recommend him!